Los Angeles County is huge, with around 10 million people and around four million square miles of area. Los Angeles County is also diverse, both culturally to geographically. As photographers, we have the luxury of playing with this diversity in our images. We can find every style of architecture. We can travel up and down the coast to visit each of the unique beaches. We can even go into different parks and canyons to escape the feel of LA altogether to find hikes, forests, and even waterfalls. Now, while this list is in no way comprehensive (or objective for that matter), we’ve shot many of the popular Los Angeles Engagement Photography locations and picked out our favorites to share. We hope you enjoy this resource and explore the beauty of LA. We hope to write a similar article on Orange County soon. Feel free to add your locations or your comments in the comments section. 1) Venice Beach – This is by far my favorite place for an engagement session. If you have four hours or so, you can start at Abbot Kinney, where bohemia meets Southern California. You’ll love the colors, the architecture, the murals and textures on the walls and the vibe. An entire engagement session could be done here alone, but if you have time, move over to Ëœthe strand, otherwise known as Ocean Front Walk. Here you’ll find a whole host of interesting characters and street performers. The commotion allows you to sneak pictures of your couple hanging out, shopping, and having a good time without drawing any attention. After that, move to the beach, where you’ll find awesome graffiti and a low populated beach. 2) Griffiths Park Observatory – The Observatory is located on the southern slope of Mount Hollywood in Griffith Park, just above the Los Feliz neighborhood. 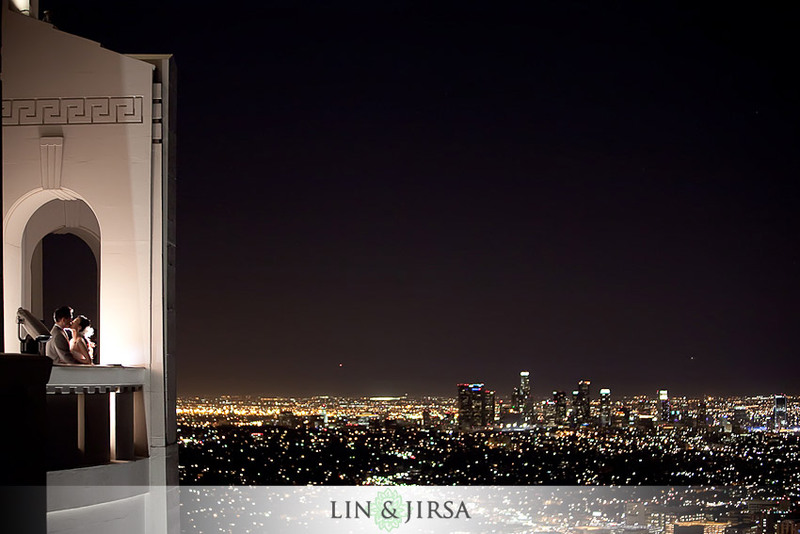 It is 1,134 feet above sea level and is visible from many parts of the Los Angeles basin. Also a great place for an engagement session, Griffiths park is an escape from LA, with beautiful views of the valleys below and nice trails for short walks. 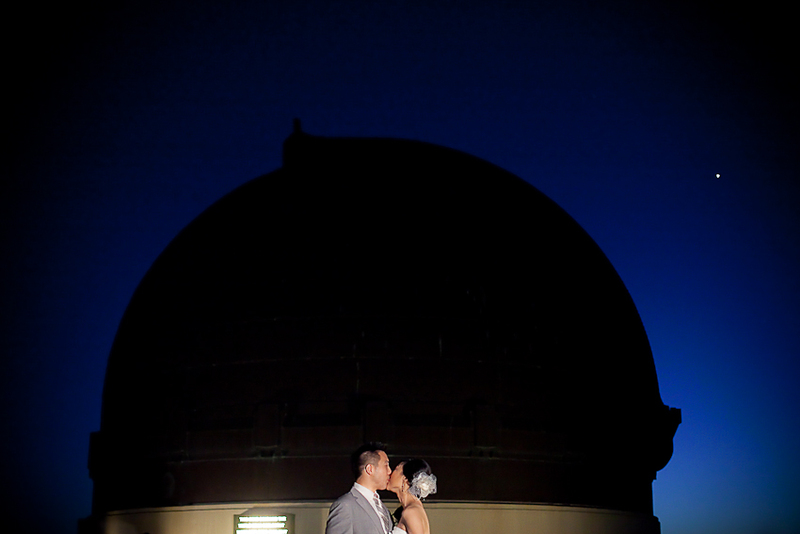 The observatory is also a photographer’s playground, as the building overlooks the city of Los Angeles. 3) Walt Disney Concert Hall – In downtown Los Angeles, there’s the beautiful, almost futuristic, structure of the Walt Disney Concert Hall. The security there is surprisingly photography friendly, allowing us to roam around with our couple and shoot for a couple of hours uninterrupted. The ally of silver walls create great lighting, and the interesting shapes of the building make for some interesting scenes. 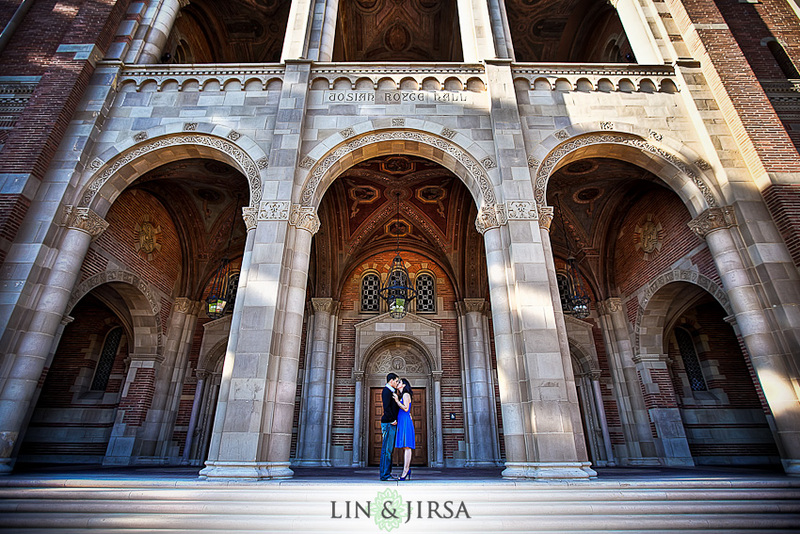 The attitude of the venue and the amazing architecture make this one of our favorite locations. 4) Manhattan Beach – Manhattan Beach is one of LA’s cleanest beaches, and it has one of the nicest piers in the County. 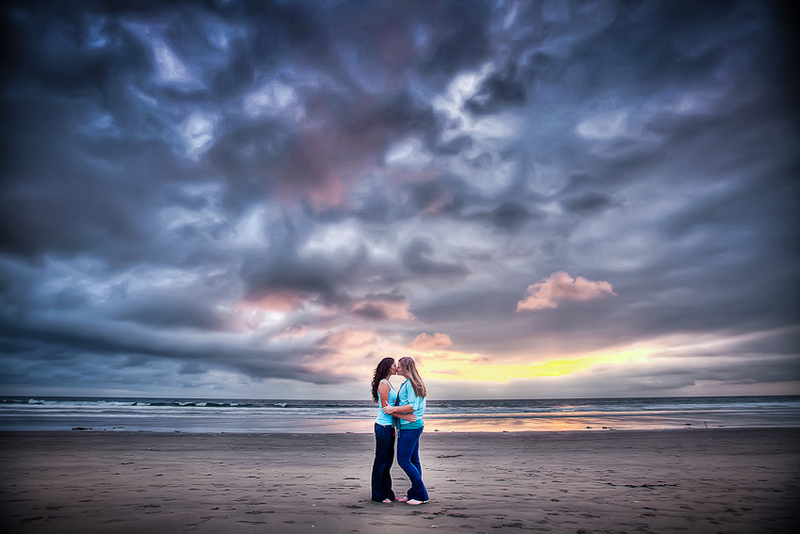 These two facts make it one of the best beaches for engagement sessions. 5) Millard Canyon – If you have a half day to spare, a little bit of a drive and a hike will take you up to Millard Canyon, the closest waterfall to Los Angeles we have been able to find. This hike is great however, as it’s not very difficult, and it gives you a good amount of time to get to know your couple. 6) Santa Monica – Like Venice, you could also spend an entire day at Santa Monica. You could start at the 3rd Street Promenade for some interesting city/commercial shots. 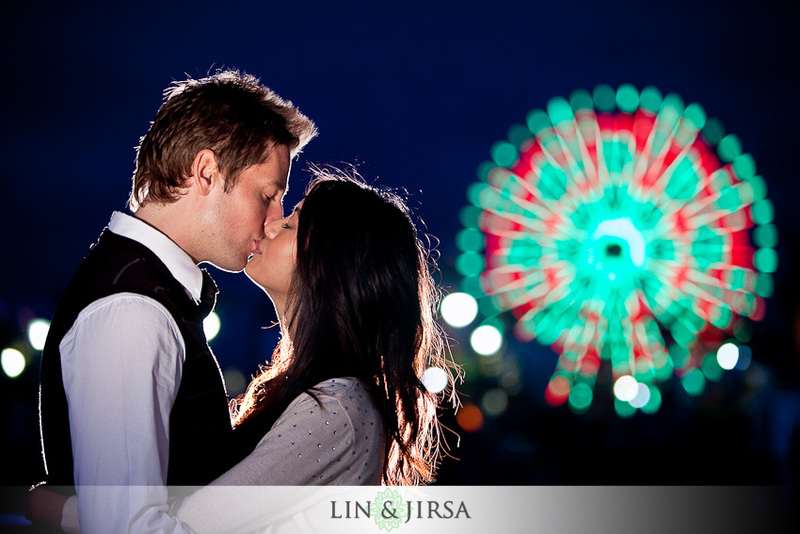 After that, you could move over to the pier for some fun carnival-like shots. However, they are pretty strict about photography, so you either have to be very sneaky or get a permit. If you have time you can also go under the pier to a nice dark tunnel; and then of course, there’s the beach, where you can catch your sunset shots. Right above the pier, there’s a nice park with beautiful lamp posts that make great night shots. 7) Downtown LA – Close to the Walt Disney Concert Hall. There are a whole host of interesting structures, buildings, and fountains. 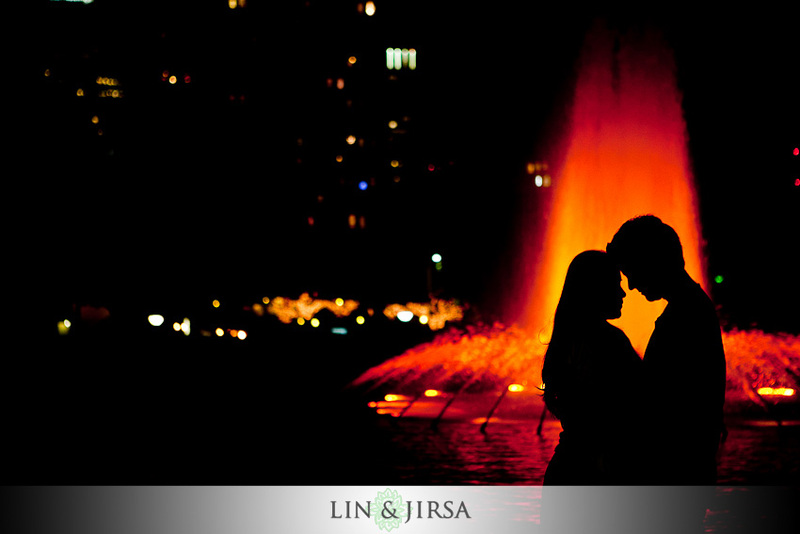 We recommend just cruising around with your couple, hopping out every time you see something interesting. It helps to go with an assistant or friend, because parking is not always easy to find. 8) The Getty Museum – Recently removed from the list due to strict rules and threats of lawsuits … you photographers know how it goes. 9) The University of California – Los Angeles (UCLA) – Most college campuses are beautiful; but there’s a reason so many movies are filmed on the UCLA campus. Besides the fact that it’s close to Hollywood, directors are drawn to the beautiful architecture. There are countless brick buildings with stunning columns, beautiful lights all around campus, and exquisite statues and other works of art all around campus. The tall buildings allow you to shoot during the day time with good shade, while the beautiful lights all around campus allow you to shoot well into the evening. You’ll likely have to pay for parking, but the images will be well worth it. And besides, after the shoot you can hang out with your clients in Westwood to grab a pizza, some ice cream, or even a movie. 10) Corona Lake – Even though Corona Lake is technically outside of Los Angeles County, we feel it deserves a mention, as it’s truly one-of-a-kind. Sit your couple down in the golden fields or take them on a quick boat ride; and your pictures will come out with a beautiful, country, even Southern feel to them. There are too many amazing locations to list in one article. For example, we left out all of Malibu, from its beaches to its Getty Museum. We left out USC and its architecture as well as the other beautiful beaches along the coast, like Hermosa Beach and Torrance Beach. Beverly Hills has a great commercial vibe; and San Pedro and Palos Verdes have stunning cliffs and great parks that overlook them. In short, LA is awesome! Don’t know if you will see this but, “How about doing a guest article each week where photographers from different cities/areas post a list of the best locations?” Would nice to see different areas of the world/US and provide some creative inspiration. hi, does anyone know what type of camera and lens were used on the pics? 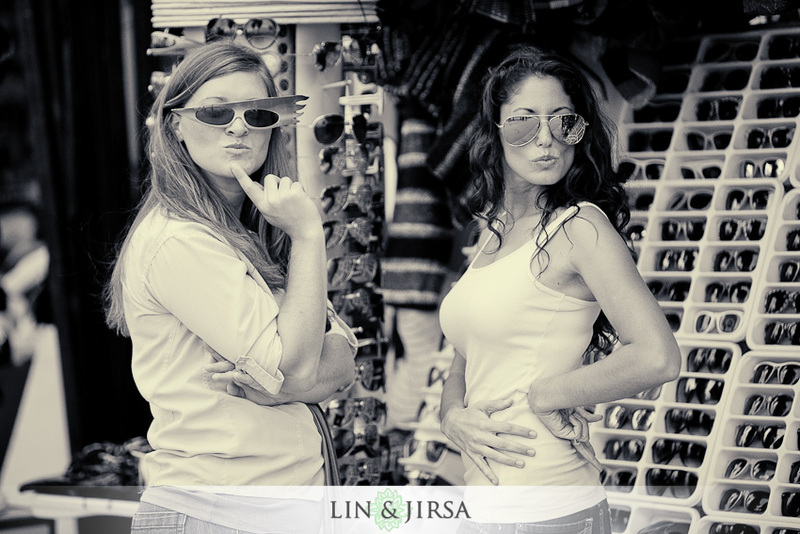 As I understand it, Lin & Jirsa shoot with Canon. I believe them to be Canon 5D Mark IIs or the 1D series. Lenses, I think that they shoot with L-series ones only. 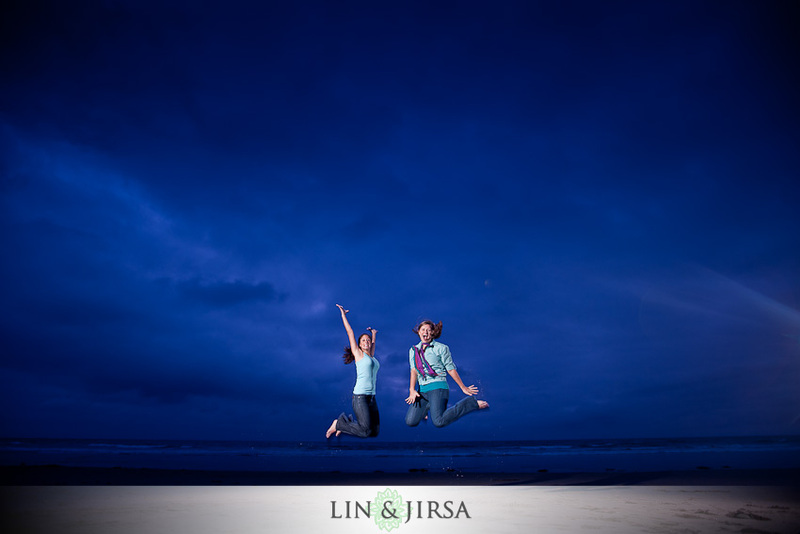 do upscale luxury hotels require permits for shooting engagement and bridal portraits? 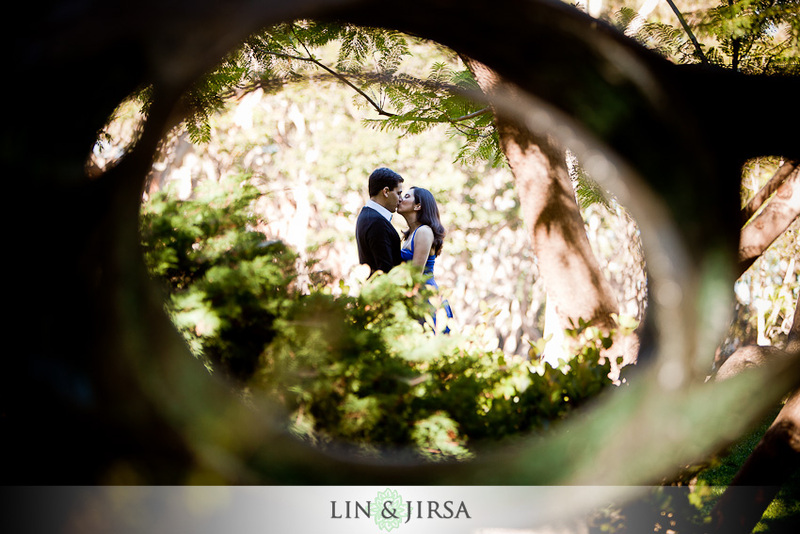 My husband & I had our photoshoots done at the Japanese Garden and also California Institute of Technology. They are both very beautiful! The Japanese Garden is like a playground of trees and a lot of different paths and walkways and Cal Tech has amazing structure. Unless it’s changed, I know they have a fee to be allowed to do photoshoots but both definitely worth the money which is very reasonable. I’d love to see the top 10 in Orange County also, if that’s possible! Thanks for the great info! Awesome, thanks for sharing! had no idea about the lake at Corona.. most certainly something to visit! I’m Shocked and amazed and thrilled that my small town (and business location) made the top 10!!! especially since its outside of LA county. Im also shocked that I havent dont a photoshoot there, but trust me, it will be my next location! Thanks for the great advice! what time of the year were the images from millard canyon. I agree these are all amazing places to shoot. I would add one more to the list in Orange County and that is The Mission in San Juan Capistrano. That’s so awesome. Thanks for sharing. I’m always looking for new places to shoot. Thanks guys that was a really helpful list. Not to mention some great sample shots. Good stuff as always.